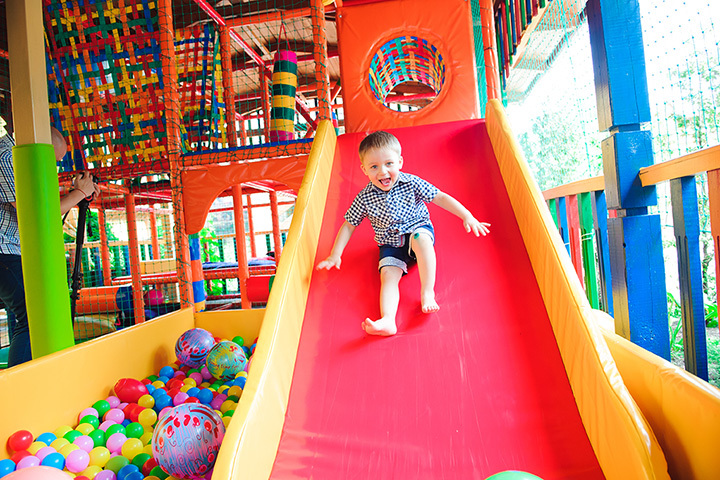 The 10 Best Kids’ Play Centers in West Virginia! Whether you’re learning about the stars and planets, bouncing around in inflatable objects, or creating a puppet show, the kids’ play centers of West Virginia have something for children of all interests! So now it’s time to ignite your child’s imagination. Here are the 10 best play centers in the state! Opened in 2003, the Clay Center in Charleston, West Virginia has performing arts, visual arts, and sciences all under the same roof. With the Avapato Discovery Museum, the Juliet Art Museum, Caperton Planetarium and Theater, and the Maier Foundation Performance Hall under one roof, there’s no end to the fun. Considered the popular favorite by kids, the Discovery Museum offers two floors of hands-on exhibits. Exhibits change frequently and include displays like Waterworks, The Maier Foundation Music Studio, and Healthy Me. Great opportunities for kids to have fun while learning and spending their energy. What could be better? Created for year-round fun, Wondermart Puppet Theater in Martinsburg, West Virginia appeals to adults and children. The theater provides six original shows a year, and kids and their stuffed animals are invited to come see the show. Weekend shows begin at 1 p.m., but everyone is invited to come early and stay late to play and explore. Planning a birthday party? There’s a room for celebrations with a special birthday show. Wondermart Puppet Theater is one of the most unique venues, and the entire staff puts their heart into the show with personal attention that brings laughter, fun, and enjoyment. The Fun Shack is a fun and affordable indoor play area located in Charles Town, West Virginia. It has inflatables of every size, shape, and color, and has a special room in the back if you’re looking for a location for a birthday party. With a designated play area for three and under, the family-owned and operated Fun Shack is fun and more! Want to visit a place with one of West Virginia’s largest collection of exotic and native animals? What started out as a small idea has turned into a collection of over 30 different species of local and exotic from all over the world. And there are always new babies popping up around the zoo located in Kingwood. Open from April to October and on weekends in November, the zoo offers a military discount and kids two and under get in free. There’s no end to the fun when you can feed the giraffes and the lemurs, hear the lions and the bears, and see the tigers and the chimps. Kruger Street Toy & Train Museum in Wheeling, West Virginia is filled with just that, tons of toys and trains. There’s fun for all ages because the core mission of the museum says "we truly believe that all of us are children at heart.” Created to help visitors find that inner child and to create fun family memories, there are toy and train exhibits from every generation. The train layouts are interactive and fun for all ages, and show your children what kinds of toys their parents and grandparents played with when they were young. Children under three are free and a student discount is also available. And bring your camera because this museum encourages photos. If you’re looking for some indoor fun on a day when being outside is not an option, Kid’s Kingdom Fun Center in Morgantown, West Virginia is the place to be. Designed by moms, the play area is meant to be a less restrictive, open environment designed to develop essential skills. From toddlers to age 12, this place is perfect for families with more than 1 child. There are inflatables, bounce houses, an obstacle course, and an arcade to delight young guests. Who doesn’t love the zoo? At the Good Zoo located in Wheeling, West Virginia, there are over 50 different kinds of animals, and different events that include playing with the animals, attending summer camps, and learning fun skills like painting. Come and explore the Outback Exhibit and Lorikeet Landing and see animals like cheetahs and lemurs, or stop at the red barn to see llamas, goats, and donkeys. They offer train rides that take you on a 1.5-mile voyage around the zoo to see the animals. The Good Zoo is open every day at 10 a.m. Stop soon because the animals can’t wait to say hello! Waves of Fun in Hurricane, West Virginia is known for the huge wave pool where you can get an ocean experience without the sharks and other sea creatures. Along with the wave pool there is a “comfort” pool, so people can enjoy the water without the waves, two waterslides, and a tube ride. Cabanas and umbrellas can be rented for the day and tubes are available on a first-come, first-served basis. Even sun bathers can get their tan on in the special area designed for them. Open every day, Waves of Fun offers senior and military discounts. Children four and under are free and it’s handicapped accessible. Come enjoy the waves of the ocean without the messiness of the sand! Open daily from 11 a.m. to 6 p.m. (weather permitting), Water Ways, located in Julian, West Virginia, is a cool way to beat the summer heat. There are height requirements, and admission cost is based on how tall a person is. Children three and under are free, and admission rates includes unlimited play on the mini golf course. There are five different slides, a lazy river, a walking trail, sheltered picnic areas (and outside coolers are permitted), and a big junior Olympic-size pool. You’ll also find a kiddy island that has slides, swings, and a water umbrella designed especially for the little kiddos. Fun for the whole family! Located in Clarksburg, West Virginia, the Splash Zone is a mini water park with multiple slides, a kid-friendly area, a lap pool, and a lazy river. There are concession stands and a miniature golf course, and Splash Zone is open daily from noon to 7 p.m. They offer military and senior discounts, and children under three are free. Birthdays are especially fun when held here, but whatever the reason for spending the day here, there are plenty of benches and covered tables to make for an enjoyable, relaxing day by the water.